Richard St. John, a brilliant entrepreneur and lecturer at TED, agreed on a plane with a high school student who asked what leads to success. St. John could not give her a good answer. He thought it would be very useful to find out and transmitting it to the young. So over seven years he interviewed over 500 successful people to find out. St. John condensed the interviews into 8 keys to success and recorded this amazing 3 minutes video. The video is very interesting because it gives examples of successful people explaining each key. Although it is not specifically about startups, it can be very useful to those who are starting an innovative business project. If you cannot watch this video on your smartphone here’s the link to the Ted website. Work: “It’s all hard work”. Improvement (be good at something ): “It is no magic , it’s practice, practice, practice”. Focus: “Focusing yourself to one thing”. Push: “Push yourself physically and psychologically. You gotta push through shyness and self-doubts”. Serve: “You gotta serve others something of value, because that’s the way people really gets rich”. Persistence: “We gotta persist through failure, criticism, rejection, assholes and pressure”. 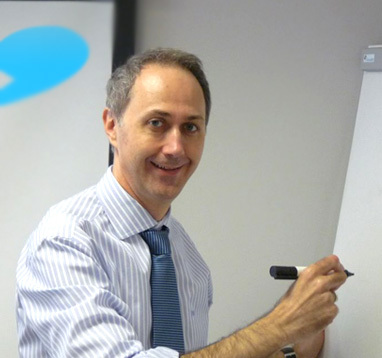 • Taking aim, work hard and persevere were some of the keys in the interview to Pello Gamez from Geoactio. • Perseverance was the most remarkable key in the interview to Alberto Bravo from We Are Knitters. 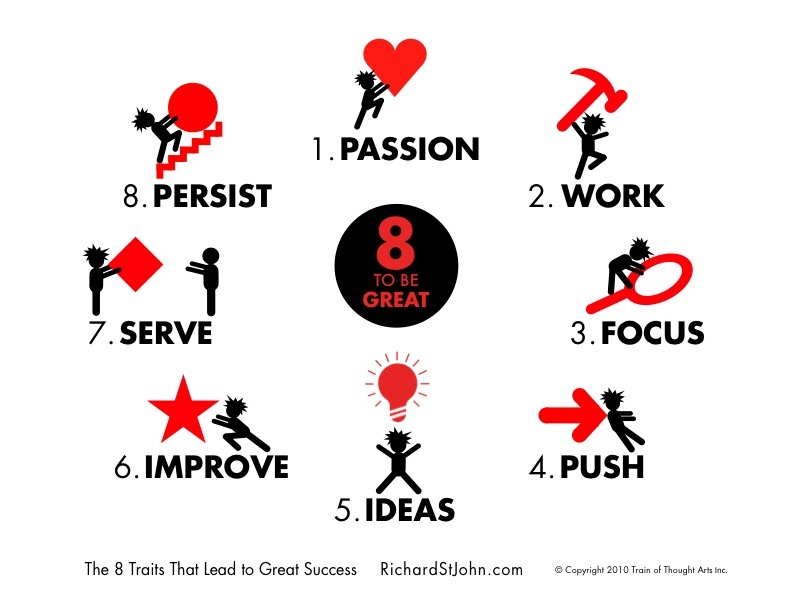 Do you think that these eight keys are the highlight for an entrepreneur? Can you think of other keys? If so, your comments are welcome. If you liked this article or you think it can be useful for your contacts I will appreciate if you to share it on your social networks. Thanks!